Working with young children, you can coach sports, teach English or do art, drama or music with the students – whatever your skills, we’ll make sure they’re put to good use. As a non-profit, the impact our volunteers can have on the local community is our priority. There’s no end to the ways you can make a difference this summer. 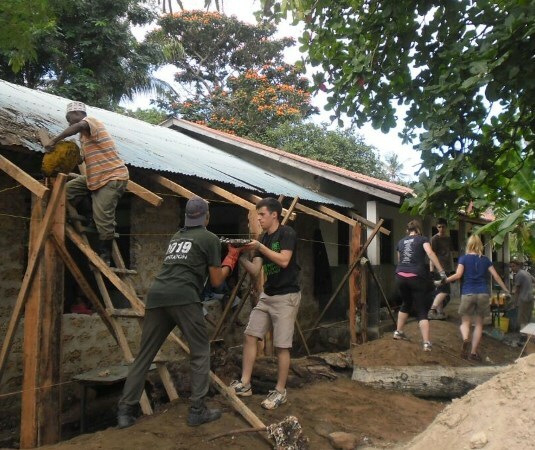 Your group will take part in a building or renovation project at a local school. Alongside local skilled craftsmen, you will dig, paint or help in any way you can to carry out much-needed building work. No building experience necessary, but just think about what you’ll learn! 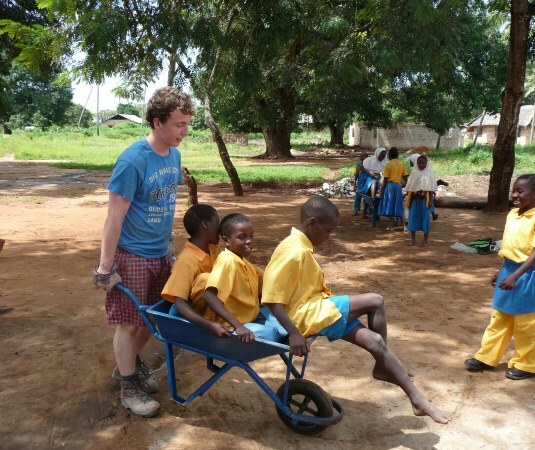 Find out more about past projects our charity, the AV Foundation, has been involved with. 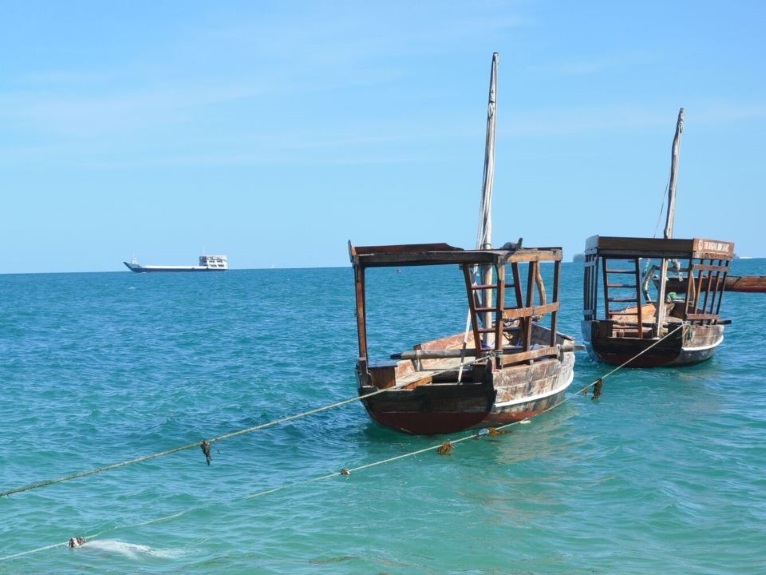 All the communities with which we work are dotted along the stunning Kenyan coast. This means that most days you’ll be able to squeeze in some quality beach time! 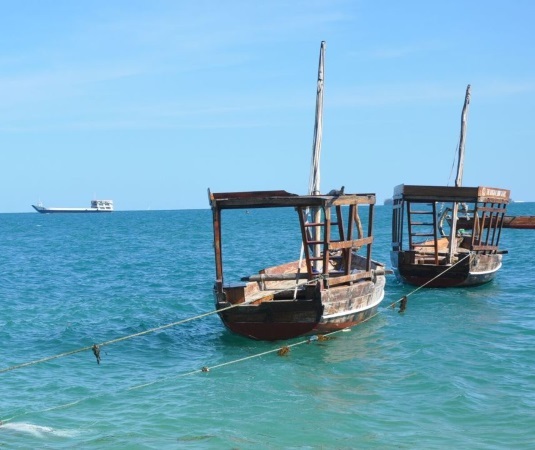 We also include accommodation for two weekends at Diani Beach. Go snorkeling, camel-riding, scuba-diving, dolphin-spotting, kite-surfing… what better way to reward your efforts? 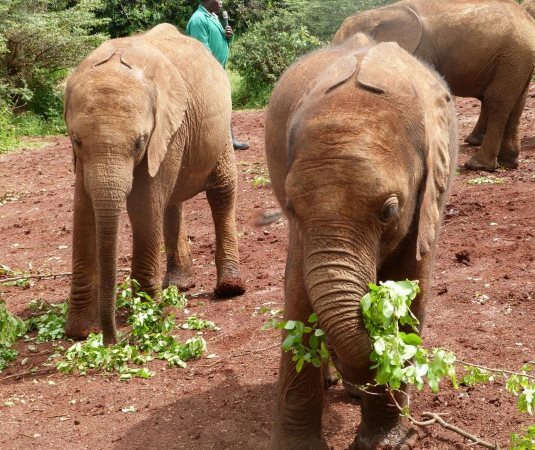 After the project, you’ll spend a few days in Nairobi where one of the highlights will be a visit to an elephant orphanage. The David Sheldrick Wildlife Trust is a world-renowned sanctuary for endangered wildlife, including elephants, rhinos and giraffes. It’s a truly unique experience. 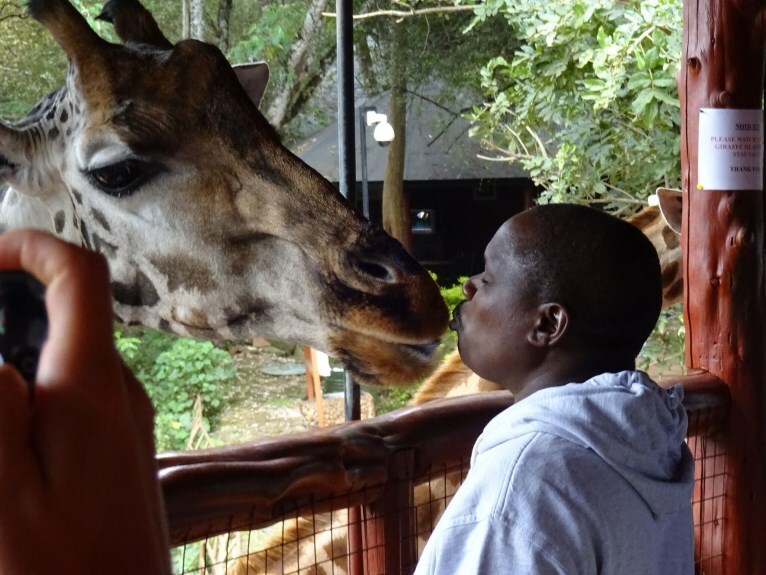 Get up close and personal with giraffes! And finally, you’ll have a final farewell dinner with your group at a famous local restaurant in Nairobi before it’s time to head back home with amazing memories and lifelong friendships. A fantastic experience. Unforgettable and highly recommended…. being immersed in the culture and meeting lots of different people was amazing. 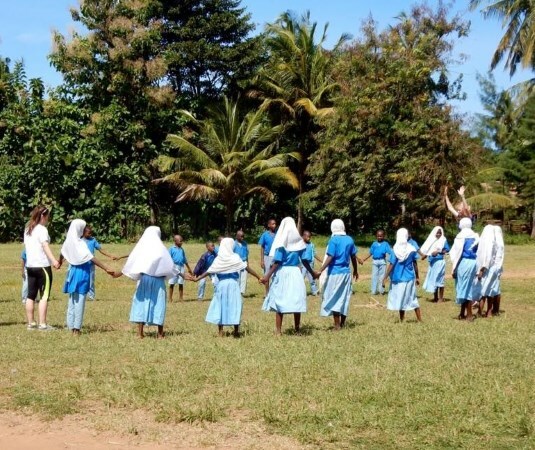 I loved meeting and integrating with the local community through the teaching, building, transport and playing football with the local children and adults. 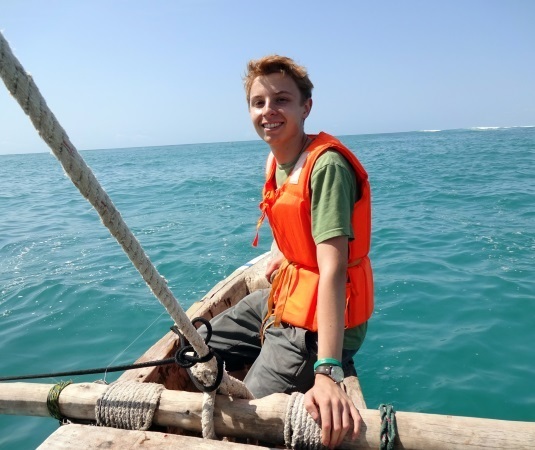 Your flight will need to take you through to Mombasa, arriving on the morning that your summer program starts, where your AV program leader will meet you. After your briefing you will start your volunteer project. You will be living and working in the communities in and around Shimoni and Msambweni with day-to-day support from your AV program leader. There are many schools within a short distance, where you will help in the classroom and with renovation projects. The teaching that you will be doing will only be subjects that you are happy to do (English, maths, science, music, arts and crafts, etc) or a wide range of PE/sport activities. You might even like to start some after-school clubs for drama or even a choir. For part of the day you may be able to put your artistic talents to good use by painting educational murals or preparing visual aids. 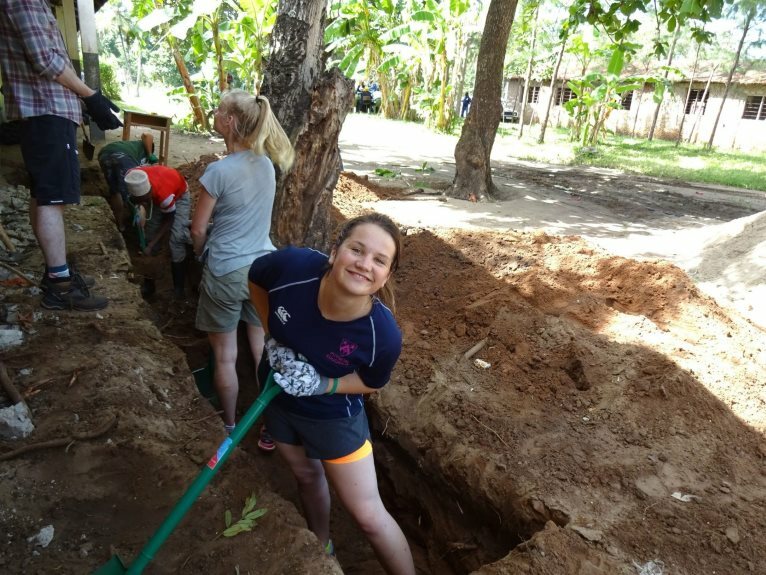 Whilst helping in the schools you will also have the opportunity to help with a community building or renovation project. 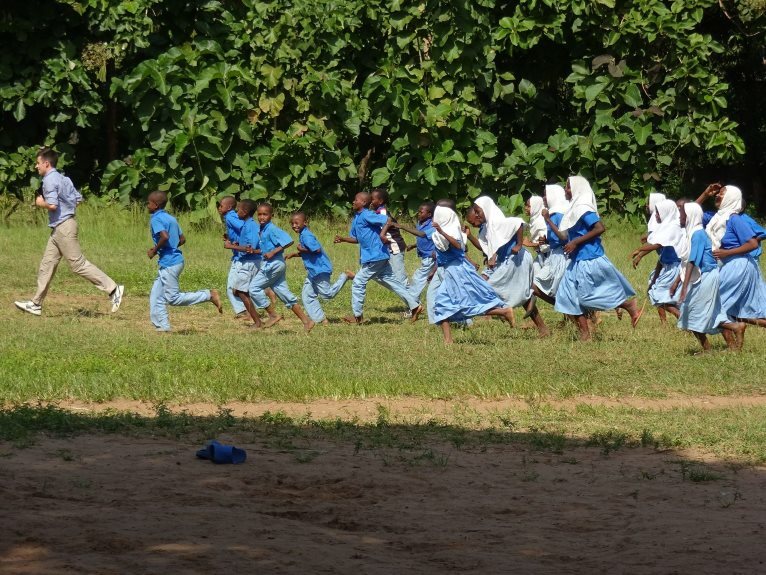 The schools are enthusiastic about the project work you will be doing, which could involve classroom or dormitory renovation, painting and decorating or cementing mud floors. You will assist our team of skilled craftsmen, providing an extra pair of hands for the heavy jobs, helping with the unskilled work whilst also learning new skills on project. Although you may do renovation work in the school where you are teaching , it could be that there will be other schools where the demand is greater – prepare to be flexible. Each day you will spend time socialising with the villagers, usually over a cup of chai (sweet tea) or lunch. This is a great chance to make new friends – they will be keen to talk about where you are from, your family and life at home, whilst you can practice your Swahili. Most days you will also get the chance to swim in the ocean, walk along the white sandy beaches and brush up on your tan! At weekends you can do as you wish and explore the area – this is the perfect location for kite-surfing, windsurfing, scuba diving, snorkelling over the coral reef and dolphin spotting. 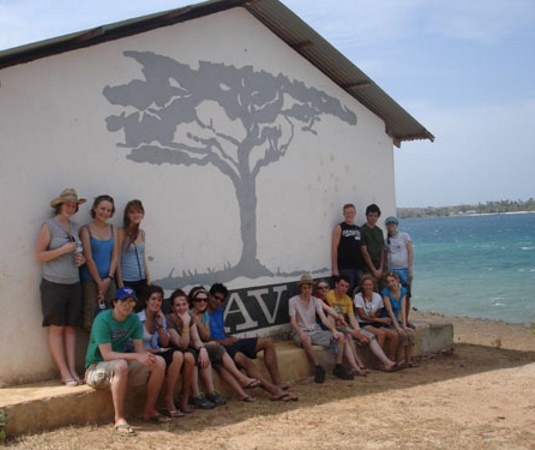 We have even included 2 weekends in Diani for you – a perfect opportunity to relax and have fun with the group! You will also have the option of a 2 day safari in the Shimba Hills National Reserve – famous for its elephants, endangered sable antelope, giraffes and leopard – and much more (additional costs involved). At the end of your time on the coast you will need to catch your flight back to Nairobi for 2 nights at the Wildebeest Eco Camp. We will take you to the David Sheldrick Elephant Orphanage and the Giraffe Centre – you’ll also have some time for shopping before a farewell meal at the Carnivore restaurant. Part of the AV experience is living alongside the local community and learning about their day to day routine. You will live in a basic village house so expect electricity to be intermittent. Buckets, bowls and fresh water can be used at the house for washing and you’ll have the luxury of being able to swim most days. Your meals will be provided but you will need to help your program leader with cooking, washing-up and sometimes shopping in the local villages. 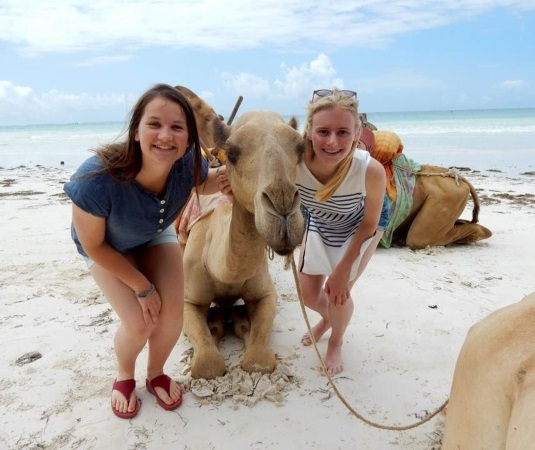 The 5 week Kenya summer program is £1,945. We are a not-for-profit organisation so all proceeds are spent in-country or to cover administration and support expenses. If you’d like to know more about how the funds are distributed, just ask. We have had lots of experience helping our volunteers fundraise before they go – just get in touch for ideas and advice. Starting on 1st August 2019 and ending on 6th September 2019 What if I can’t make those dates? Don’t worry! We may have other dates. Get in touch and we’ll let you know all the options. Alternatively, if there’s a group of 4 or more of you wanting to go, we can work out a date to suit you. If you’re interested, fill in our reservation form (approx. 1 minute) and we’ll keep you updated as places fill up so you won’t miss out.